UW CEE alumna Deb Niemeier. UW CEE alumna Deb Niemeier (Ph.D. ’94) has been elected to the National Academy of Engineering, one of the most prestigious honors in the engineering field. Reserved for individuals who have made pioneering contributions, Niemeier is recognized for developing groundbreaking tools to improve the accuracy of estimating regional vehicle pollutants, which impact the health of minority populations that reside in close proximity to highways. A professor in the Department of Civil and Environmental Engineering and the School of Education at the University of California, Davis, Niemeier has focused her research efforts on developing better methods to estimate vehicle emissions. When she first entered the field, it was known that vehicles were significant polluters. However, despite advances in engine technology that had begun to reduce tailpipe emissions, there weren’t robust methods for estimating the impact of tailpipe emissions on regional air quality. If estimates of vehicle pollution are too low, not enough emissions control technologies are implemented. Conversely, high estimates may lead to the implementation of too many, or the wrong types, of pollution controls. Studies have shown that minority populations, particularly communities of color and low-income households, tend to live closer to congested highways. This exposes them to a variety of pollutants produced by vehicles, especially nitrogen dioxide which causes health problems such as heart attack and asthma. To address this challenge, Niemeier and her students developed new algorithms for more accurately estimating vehicle emissions. They also drafted new regulatory guidance to ensure that public agencies utilize the new evaluation methods when making decisions related to air quality issues. Born out of this interest in environmental justice, Niemeier and three of her students also formed a company. Primarily through pro bono work, they collaborate with legal advocacy groups and environmental law clinics on social justice issues associated with transportation-related air quality issues that impact underserved populations. A Texas native, Niemeier moved to Seattle to attend graduate school at UW after working for a consulting firm in Maine for several years. After considering several prominent east coast engineering schools, none of which felt like a good fit, an undergraduate professor suggested visiting CEE professor Scott Rutherford, who ended up being Niemeier’s Ph.D. advisor. Of her numerous accomplishments, Niemeier is most proud of her students, many of whom are now faculty at various institutions, including Cornell University, University of Illinois, University of New Mexico, McGill University and Georgia Institute of Technology. 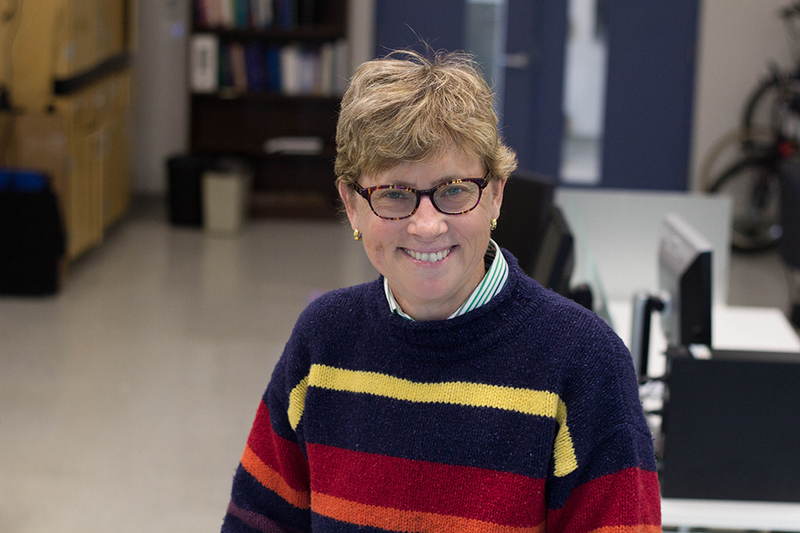 Among the many honors she has received over the years, Niemeier was named a fellow of the American Association for the Advancement of Science in 2014 and a Guggenheim Fellow in 2015. She has also served as chair of the Department of Civil and Environmental Engineering at the University of California, Davis. This entry was posted in Uncategorized on March 8, 2017 by ceenews.